Belle - 05.2019 » Download PDF magazines - Magazines Commumity! 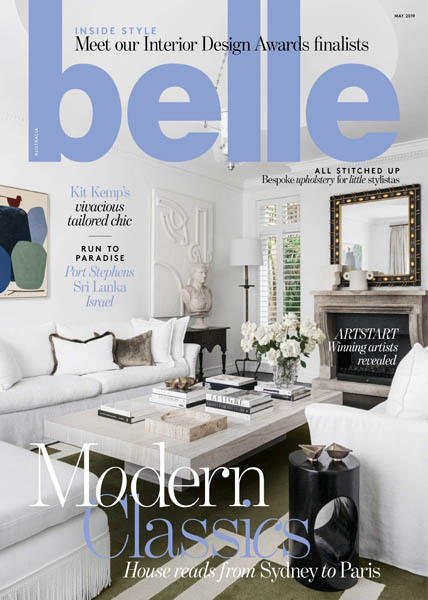 Belle magazine delivers the best in design, decoration and lifestyle from Australia and around the world, through its unique editorial mix of homes, design, people and places. Belle magazine takes a lively, informed and contemporary view on design, showcasing beautiful homes in Australia and overseas and bringing its readers news, trends and creative personalities in interior design, architecture, gardens, art, furniture, home accessories, fabrics and luxury goods. Even Belle’s food and travel pages have a unique design focus.